Get prepared with a trip to the Greater Tulsa Survival & Green Living Expo. 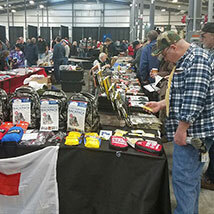 Held at Tulsa Expo Square, the Exchange Center will transform into a one-stop shop for long-term food storage, solar power, bug-out kits and tactical gear. Stock up and be ready to survive without power after a visit to this survival expo in Tulsa.